Manchester United and Chelsea will lock horns on Sunday following Champions League first leg results that leave them with considerable work to do, yet are in no way ‘all but out’ of the competition. 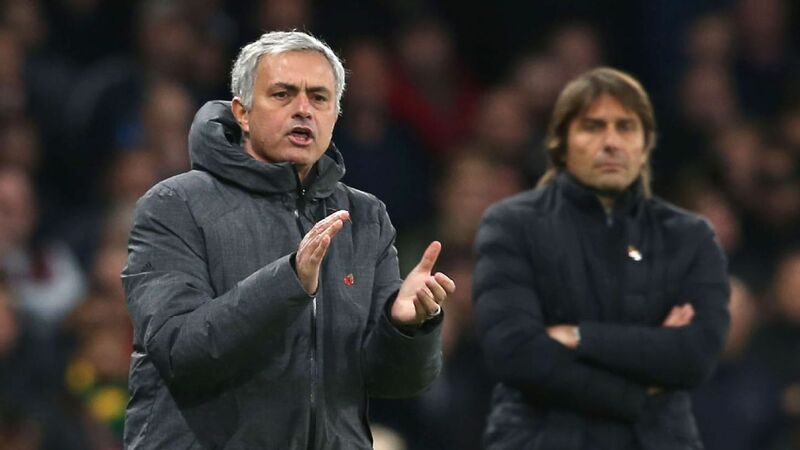 Arguably the biggest catalyst for debate between the two teams has been the managers, as José Mourinho and Antonio Conte have consistently insulted one another throughout their time in the Premier League together. It should get lively on and off the pitch. Rumours have circulated lately of a possibly departure for Thibaut Courtois but he looks set to retain his place. Due to the absence of Cahill from the line-up lately, it will be a test of how solid the new-look defence can be. Without Bakayoko, a duo of Cesc Fabregas and N’Golo Kanté is again expected and United man Nemanja Matić has been sorely missed this campaign. Praise for the reliable Willian since coming back into the side has meant he is set to feature at some point. The almost iconic 3-4-3 formation adopted last season to win the title has been less successful this campaign but has huge threats. It’s set to be a back trio of Azpilicueta, Andreas Christensen and Antonio Rüdiger giving a base to flying wing backs Victor Moses and Alonso which may be a very similar dynamic man for man to the possible opposing line-up. In this fixture last season, that opposing line-up managed to match the blues and could be used again. If Mourinho switches to a 3-5-2 like he has done before, then the big occasion workhorse of Jesse Lingard could operate just in front the Chelsea to occupy a defender whilst Romelu Lukaku and Alexis Sánchez push on to almost overload the back line. That means the midfielders in Fabregas and Kanté will need to drop back often. Their usual trio up front has looked different as of late due to Hazard possibly being played as a false-9 surrounded by Pedro and Willian in their Champions League draw against Barcelona in midweek. However, the more orthodox approach of Oliver Giroud or most likely nearly-red Álvaro Morata being used as a target man surrounded by Hazard and Pedro could be used for more of a focal point. In that aforementioned fixture, the currently injured Ander Herrera produced an unprecedented performance to man-mark Hazard and also grabbed a goal for himself to finish off the game as well as making the opener. In the reverse fixture, a diagonal long ball from the back was used often by Chelsea and eventually resulted in a goal which could be used as a counter attacking method to a big focal point. The rivalry between Conte and Mourinho is expected to reach a boiling point during the match and will have a number of close eyes on it. The pressure to perform in big games is piling on the Reds who have a number of season-defining clashes coming up. David De Gea was at his best in midweek in his home country and news has emerged following it that he is set to sign a new contract with United which could stop him returning to Spain once again. If Mourinho opts for 3-at-the-back system, it’s likely to include the fit again Eric Bailly, under-fire Chris Smalling and keen man-marker Victor Lindelöf and if not, it’s likely the latter would drop out. In the middle of the park a trio of former-Chelsea man Nemanja Matić, the much talked about Paul Pogba and Lingard (just in front) may well be used to fully counter the opposition. It could be the time to prove the growing bond between other former Chelsea man Lukaku and Sánchez up front as they have shown glimmers of a connection since playing together. Hoping to make an impact from the bench will be Anthony Martial and Marcus Rashford, who scored in this fixture last season in a possibly similar system. The currently struggling Morata headed in a superb Azpilicueta ball over the top late on at Stamford Bridge in a typically tight battle between the two teams. United have won just 1 of their last 14 games against Chelsea in all competitions – that reverse fixture. Chelsea will be looking to do the double of United for the first time since 2009/10 under Carlo Ancelotti (the only other managers to do so were Mourinho in 2004/05 and Glenn Hoddle in 1993/94). Only Liverpool, with 4, have the double over United more times than Chelsea who are level with Arsenal and Manchester City who meet twice in the next 5 days. Conte has won 3 of his previous 4 meetings with Mourinho. Mourinho has only lost 2 of his 32 games at Old Trafford (both to City). Lukaku has failed to score in encounters against the ‘big six’ this season and has only taken 4 shots.